Susan's mother taught her to sew when she was very young and she immediately fell in love with the process of choosing the right fabric, carefully cutting out the pattern, and step-by-step seeing a beautiful handcrafted item come to life. Over the years, she has sewn clothing, home décor, gift items and more. Her favorite projects are bags! She says that bags of all types and sizes are a great way to use colorful and modern quilting cotton fabric to make something personal, useful and beautiful. She also loves machine embroidery and enjoys adding monograms or designs to the items she sews. She and her husband just celebrated their 30 year anniversary. They have 3 grown children that they love to hang out with and 4 adorable grandchildren that they can't get enough of! Susan retired in 2012 after 30 years with The Coca-Cola Company and after a career in business, has come full circle to her first love, sewing. Besides sewing, Susan’s hobbies are golf, traveling, reading, cooking and crafting. 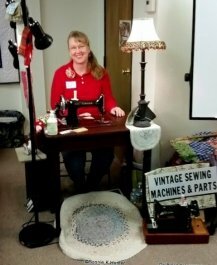 Allison is a longtime collector (since 1995) and avid user of her vintage sewing machines on a daily basis. Not a day goes by without needle, thread, and fabric meeting. Along with maintenance, she will regal you with bits of history and fun stories of how she found her machines. LuGay loves interacting with others, learning new things, and making a difference in people’s lives. After being blessed to retire early from the technology world her dream was to develop her own home-based business. 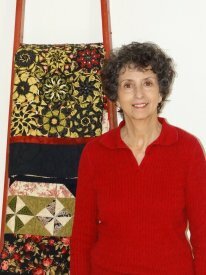 She has always enjoyed creativity and design, and has been sewing and quilting for years. She grew up in a small town in the Texas Panhandle and remembers, as a young girl, sitting under her grandmother’s quilting frame watching her and her friends at quilting bees. What interesting conversations and such incredible memories! She hopes her work honors their lives and efforts. MaryJo has been sewing since the age of 8. She began her sewing journey stitching garments. Her grandmother encouraged her to start quilting at the age of 14, teaching her cutting, piecing, and hand-quilting. About 7 years ago, she began long-arm quilting. 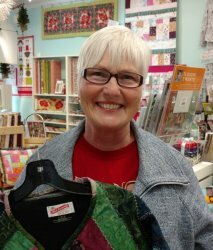 As a quilter, she enjoys piecing, making patterns (when what she wants can't be found) and making tshirt quilts. Her and her husband are a member of both the Plano and Garland Quilt Guilds. When MaryJo isn't quilting, she can be found spending time with her family. She has a son, a daughter, and a grandson who she loves to spend time with, along with her fur family- a Corgi and two cats. Her British short-haired cat runs the house... *sigh* if only the cat paid the bills! Lucille first visited a quilt show & was totally blown away by what she saw. From then on, there was no turning back. She considers herself "Hooked for life" now! Her specialty is all things applique, hand or machine. She especially loves hand applique after discovering an easier method called "back basting"! 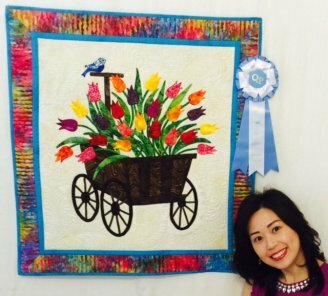 She actually won a ribbon for her very first hand applique quilt! She'll be teaching this method at our store. For those who prefer to do it by machine, she will also be teaching you how to trace, fuse & sew using the different stitches on your machine. Since she started to quilt, she's made countless quilts for family & friends. She considers quilting "A labor of love." An avid traveler, she has visited many parts of the world from north to south, east to west. Meet Martha Lindberg. She has been a quilter for over 30 years but has been sewing something just about all her life. 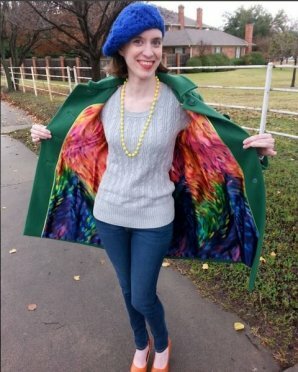 How many quilts has she made? Too many to count, she says. She's been a teacher/instructor for over 35 years. 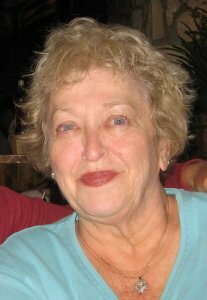 Martha and her husband moved to Texas from Massachusetts in 1964, now living in Mesquite. She retired in January 2008 after working for 30 years for the Federal government. They have two grown children and one granddaughter. Her babies these days are our two Scottish terriers, Lucy and August, one black and one white. She loves to make house quilts. Prepare to create your own neighborhood as you stitch your way through one of her classes. After years of sewing almost every piece of clothing her family wore, Ronnie was coerced into going to her first quilt show in 1996. That was the beginning of a whole new world and she hasn’t looked back since. She likes a wide variety of quilting styles, but Stack-N-Whack quilts have become her favorite because she loves the surprise element when the quilt is finished. Using traditional patterns with non-traditional fabrics is also one of the ways she enjoys creating an unusual look. Scrap quilts (the smaller the pieces, the better) are also on her top-ten list of projects. 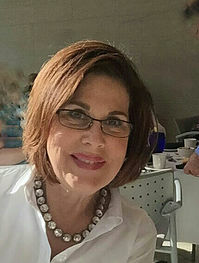 Ronnie has lived in the Dallas area since she was a child and retired from Richardson ISD several years ago. She and her husband are enjoying retirement and always look forward to visits from their two daughters. 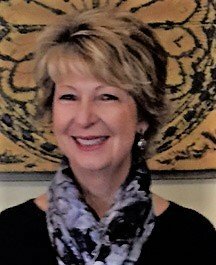 When she is not sewing, Brooke has enjoyed working as wardrobe crew for Dallas area TV shows like “Prison Break”, “The Good Guys”, and “Chase”.